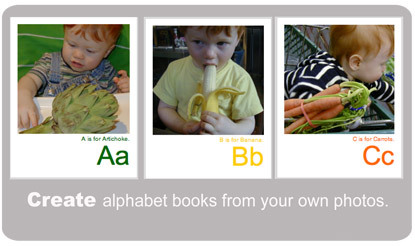 Make your alphabet book today. It's FREE, easy, and the perfect holiday gift. 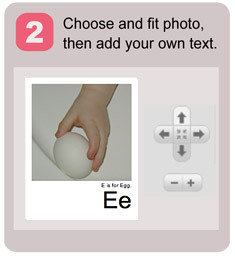 PROJECTalphabet® lets you make your own alphab and counting books with digital pictures, then print them out yourself. Great for parents, teachers and photographers. And it's all FREE. So make one for your kid, class, dog, town or family vacation. Need inspiration? See samples here. 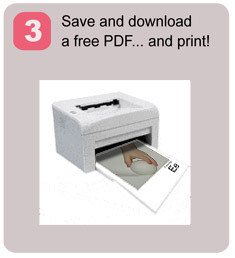 Here's how it works: Sign in and follow a few simple steps. Sign up here and give it a try. Martha Stewart, NickJr Family Magazine, Apple's Made on a Mac Series, and most recently, Parents.com.